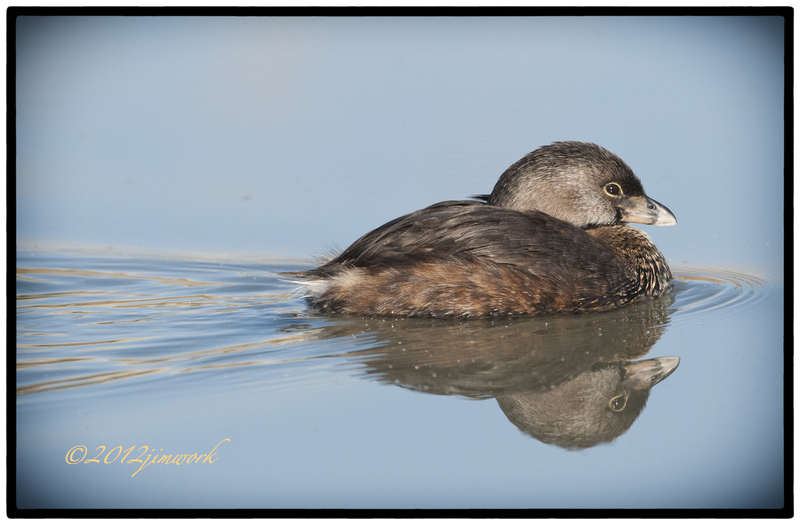 This small pied-billed grebe (Podilymbus podiceps) just seems too darn peaceful. Wish I presented that image. Wish I had it to wear but it never seems to fit for long. This Grebe has a chicken-like bill, the Pied-billed Grebe is common on lakes and ponds across North America. It is rarely seen flying and prefers to sink out of sight when danger threatens. Now that last behavior fits all to well with me. “The Two Most Important Days In Your Life Are ….